“How much protein do I need?” is a hotly contested and frequently asked question within the nutrition and fitness realms. Unfortunately, there is no straightforward answer. Conclusive scientific research on the topic is limited and many “experts” allow their feelings on animal products and their anecdotal experiences influence their recommendations. 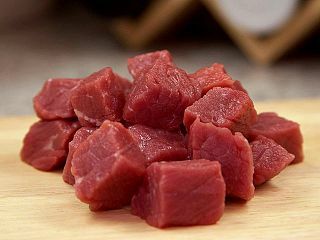 The recommended daily allowance (RDA) of protein is .36 grams per pound of bodyweight. In other words, if you weigh 150 pounds your daily recommended allowance would be 54 grams. According to some studies if you consume this amount of protein each day you’ll avoid developing nutritional deficiencies. The RDA is based on research that was conducted almost exclusively on college-aged men. The RDA for protein will only prevent deficiencies and may not be enough for optimal health. In contrast to the very specific number given by the RDA, The Acceptable Macronutrient Distribution Range (AMDR) recommends that individuals get 10-35% of their calories from protein. The AMDR is a collection of nutrition recommendations that are put forth by the National Academy of Sciences. The National Academy of Sciences bases the AMDR off of the latest research and says that eating within these guidelines will reduce your risk of chronic disease. The AMDR presents the public with a rather large range of acceptable protein consumption. This range allows consumers to take into account individual factors that may effect their protein needs. If you engage in regular, intense exercise or if you are an athlete, your protein needs might be higher than that of a sedentary individual. Ryan Andrews, a Registered Dietitian at Precision Nutrition, suggests that people who are engaging in high intensity exercise get .69-.9 grams of protein/pound of bodyweight. Andrews also advises his clients that we can only store so much protein in our bodies at one time so we should try to consume moderate amounts of protein throughout the day. Individuals who are interested in shedding pounds may want to consider including more protein in their diet as well. Protein has a higher thermic effect of feeding. We must burn calories in order to break down and process the food we eat. A gram of protein takes nearly twice as many calories to digest then a gram of carbohydrate or a gram of fat. Therefore, higher protein diets can help boost your metabolism. Not only can higher protein diets rev up your metabolism, they’re also associated with longer lasting feelings of satiety. Before you set out to increase your protein consumption, carefully evaluate your current intake. The National Health and Nutrition Examination Survey found that the average American male consumes 102 grams of protein per day, while the average female eats about 70 grams. This amount of protein consumption would be considered the mark of a high protein diet for many people. Bear in mind that if you consume more calories than you need from any source, including protein, your body will store the excess calories as fat.